Squares are essential for setting holding devices and the edges of workpieces at angles that are square to some other edge. For the greatest accuracy a square is needed with one side at least as long as the edge being tested. 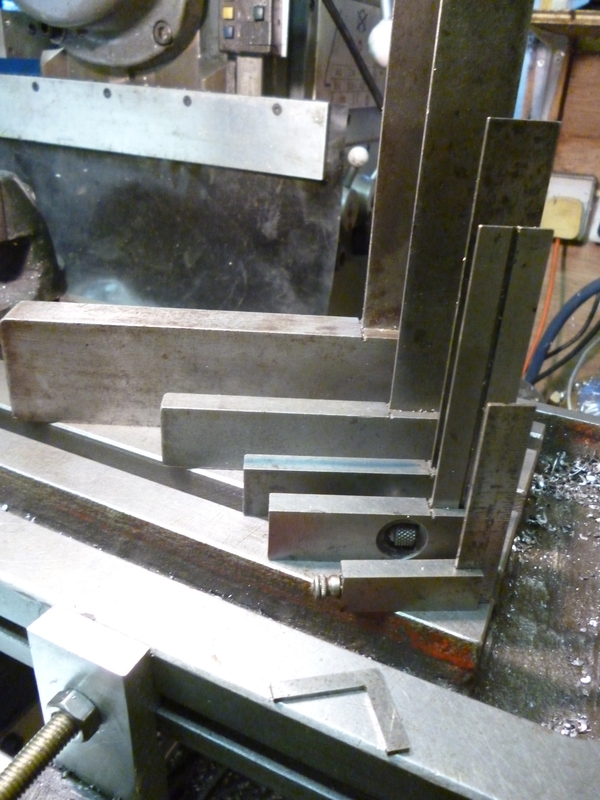 But on the other hand often an edge might be very short and a very small square is needed. In practice a whole range of different sizes of squares are necessary. A square is often useful for lining up two vertical edges or a line and a point; very often one might be a side of a workpiece. The other might be the flute on the edge of an endmill. Adjustable squares with a sliding part are often useful. A square can be tested as follows. 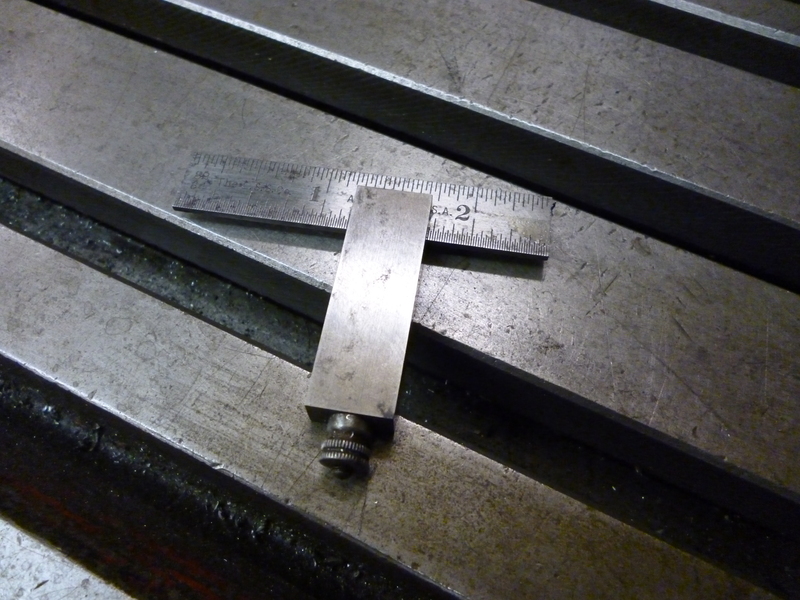 The edge of the milling table is tested for straightness using a ruler. The square is placed against the edge. A fence is fitted to the table at right angles to the edge using the square. The fence is pushed against the edge of the square. The square is turned round and pushed against the same edge of the fence. If it is square it will touch all the way along the fence. This can be tested by putting a piece of cigarette paper in the gap and seeing if, when the square is pushed up against the fence if it nips the cigarette paper. Ideally the error should not be more than a few hundredths in 200mm. The smallest ding or lack of straightness in any of these surfaces will limit the accuracy of this test.